We should be welcoming any kind of election and progress towards democracy under these conflict circumstances, so it makes no sense the US government is condemning this vote, former US diplomat Jim Jatras told RT. 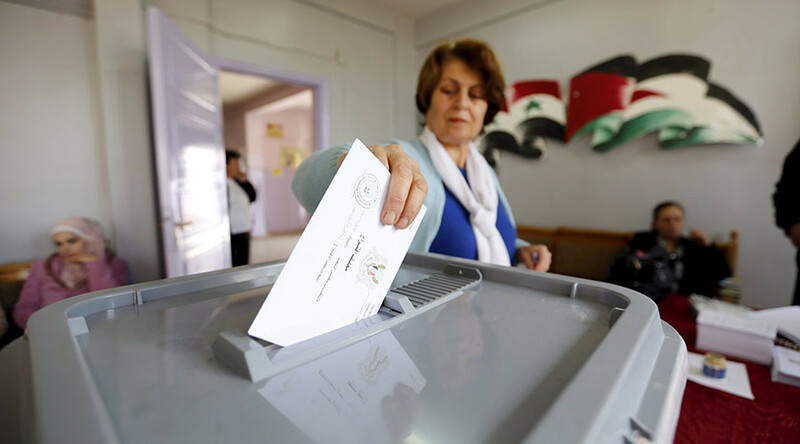 The United States dismissed out of hand the Syrian poll to elect a new parliament saying it doesn’t reflect "the will of the people." But in 2005 Washington welcomed voting in neighboring Iraq when the country was also gripped by war. RT: The US dismissed the upcoming parliamentary elections in Syria. Why is it denying legitimacy to a democratic vote? Jim Jatras: Because the American government has already decided that Bashar Assad is not a legitimate head of a government, this is not a legitimate government, it has to be overthrown. And anything they do will simply be condemned out of hand by the US government whether there is any basis for it or not. 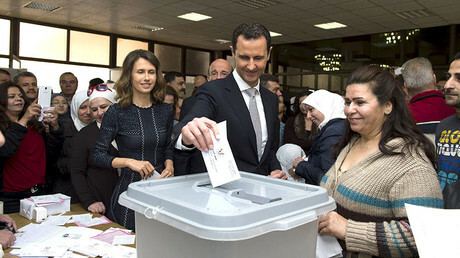 This is despite the fact that in 2014 Syria carried out a presidential election, Syrians all over the world voted in it and we saw people abroad in places like Lebanon, Jordan actively and enthusiastically participating in these elections. There is no reason to think that a very substantial part of the Syrian population, I would say a majority, supports this government and supports these elections. RT: But is there much point in holding a general election now while the talks in Geneva are still ongoing? JJ: Everybody says - and this includes the US and its allies: We want to see a democratic evolution in Syria. We want to see democracy in Syria. I don’t think our Saudi friends, of course, want to have much of a democracy in Syria; they don’t have one in Saudi Arabia. But that is the position of the American government. We should be welcoming any kind of election and progress towards democracy in the areas where that is possible under these conflict circumstances. So, it makes no sense to me that the American government is condemning this vote. RT: Do you think the US stance on the election would be the same if the country in question was Iraq? JJ: No, of course not. And this is where some of the real hypocrisy comes in that if it is a government we support, then we will give a blessing to the election whether it was a valid election or not. If it is a government we are opposed to no matter what they do we will condemn it. This is simply another example where the identity in your relationship with US policy and whether the government is controlled by people in Washington is the determination of whether the elections are legitimate. Not whether they actually reflect the will of the people of that country. RT: Do you think a fair and inclusive election is possible while ceasefire violations continue? JJ: Nobody expects a perfect election in Syria under the circumstances. Is it fair within the limitations that a conflict imposes on a country? I would say that it is although again not perfect. Look, in 1864 during our Civil War we had elections. Obviously, the people in the southern states who were fighting against the government they did not participate in those elections. Does that mean that Lincoln was not legitimately reelected in 1864? I don’t think so.